Row-level security (RLS) can be used to restrict user access to data within dashboards, tiles, reports, and datasets. Different users can work with those same artifacts all while seeing different data. Embedding supports RLS. 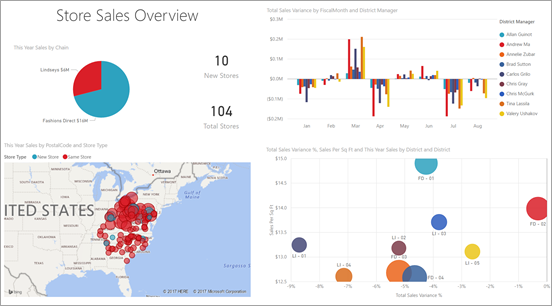 If you're embedding for non-Power BI users (app owns data), which is typically an ISV scenario, then this article is for you! Configure the embed token to account for the user and role. 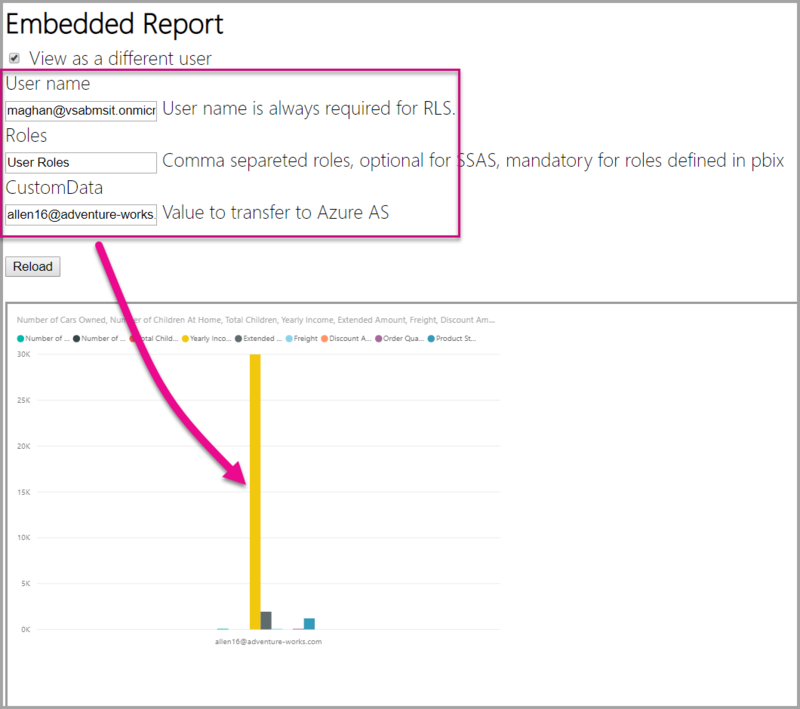 If you're embedding to Power BI users (user owns data), within your organization, RLS works the same as it does within the Power BI service directly. There's nothing more you need to do in your application. For more information, see Row-Level security (RLS) with Power BI. Users – End users viewing the artifact (dashboard, tile, report, or dataset). In Power BI Embedded, users are identified by the username property in an embed token. Roles – Users belong to roles. A role is a container for rules and can be named something like Sales Manager or Sales Rep. You create roles within Power BI Desktop. For more information, see Row-level security (RLS) with Power BI Desktop. Rules – Roles have rules, and those rules are the actual filters that are going to be applied to the data. The rules could be as simple as “Country = USA” or something much more dynamic. For the rest of this article, there's an example of authoring RLS, and then consuming that within an embedded application. Our example uses the Retail Analysis Sample PBIX file. Our Retail Analysis sample shows sales for all the stores in a retail chain. Without RLS, no matter which district manager signs in and views the report, they all see the same data. Senior management has determined each district manager should only see the sales for the stores they manage. Using RLS allows Senior management to restrict data based on a district manager. All measures, like Total Sales, are stored in the Sales fact table. There are four additional related dimension tables: Item, Time, Store, and District. The arrows on the relationship lines indicate which way filters can flow from one table to another. For example, if a filter is placed on Time[Date], in the current schema it would only filter down values in the Sales table. No other tables are affected by this filter since all the arrows on the relationship lines point to the sales table and not away. Based on this schema, if we apply a filter to the District Manager column in the District table, and if that filter matches the user viewing the report, that filter down the Store and Sales tables to show data for that district manager. On the Modeling tab, select Manage Roles. Create a new role called Manager. 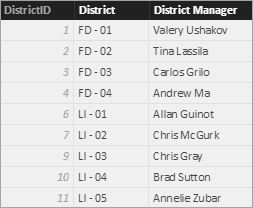 In the District table, enter this DAX expression: [District Manager] = USERNAME(). To make sure the rules are working, on the Modeling tab, select View as Roles, and then select both the Manager role you created, along with Other users. Enter AndrewMa for the user. The reports show data as if you're signed in as AndrewMa. Applying the filter, the way we did here, filters down all records in the District, Store, and Sales tables. However, because of the filter direction on the relationships between Sales and Time, Sales and Item, and Item and Time tables aren't filtered down. To learn more about bidirectional cross-filtering, download the Bidirectional cross-filtering in SQL Server Analysis Services 2016 and Power BI Desktop whitepaper. Now that you have your Power BI Desktop roles configured, there's some work needed in your application to take advantage of the roles. Users are authenticated and authorized by your application and embed tokens are used to grant that user access to a specific Power BI Embedded report. Power BI Embedded doesn’t have any specific information on who your user is. For RLS to work, you need to pass some additional context as part of your embed token in the form of identities. You can pass the identities by using the Embed Token API. The API accepts a list of identities with indication of the relevant datasets. For RLS to work, you need to pass the below pieces as part of the identity. 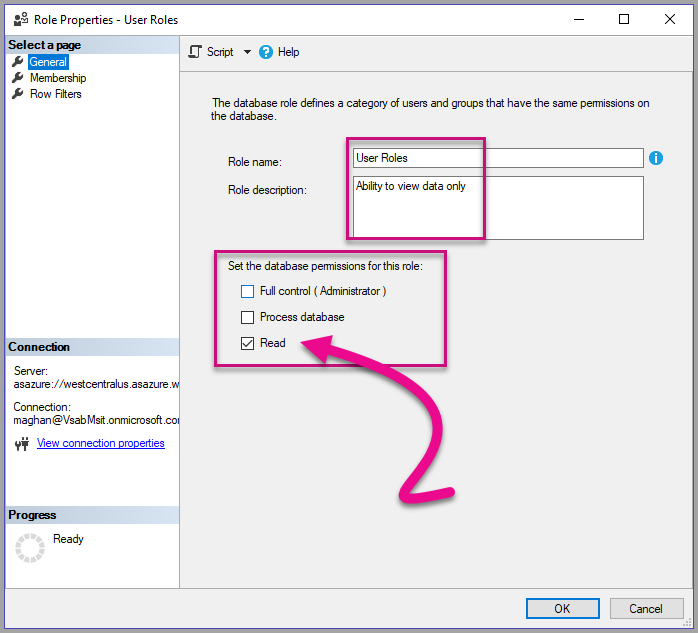 username (mandatory) – A string that can be used to help identify the user when applying RLS rules. Only a single user can be listed. Your username can be created with ASCII characters. roles (mandatory) – A string containing the roles to select when applying Row Level Security rules. If passing more than one role, they should be passed as a string array. dataset (mandatory) – The dataset that is applicable for the artifact you're embedding. You can create the embed token by using the GenerateTokenInGroup method on PowerBIClient.Reports. If you're calling the REST API, the updated API now accepts an additional JSON array, named identities, containing a username, list of string roles and list of string datasets. Now, with all the pieces together, when someone logs into your application to view this artifact, they’ll only see the data that they're allowed to see, as defined by our row-level security. Row-level security can be used with Analysis Services live connections for on-premises servers. There are a few specific concepts that you should understand when using this type of connection. The effective identity that is provided for the username property must be a Windows user with permissions on the Analysis Services server. An On-premises data gateway is used when working with Analysis Services live connections. When generating an embed token, with an identity listed, the master account needs to be listed as an admin of the gateway. If the master account isn't listed, the row-level security isn't applied to the property of the data. A non-admin of the gateway can provide roles, but must specify its own username for the effective identity. Roles can be provided with the identity in an embed token. If no role is provided, the username that was provided can be used to resolve the associated roles. The CustomData feature only works for models that lie in Azure Analysis Services, and it only works in Connect live mode. Unlike users and roles, the Custom data feature can't be set inside a .pbix file. When generating a token with the Custom data feature, you need to have a username. 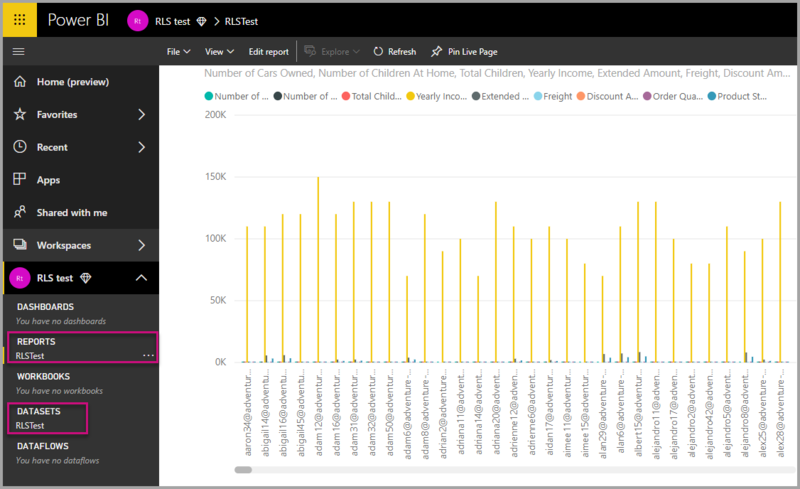 The CustomData feature allows you to add a Row filter when viewing Power BI data in your application when using Azure Analysis Services as your data source (viewing Power BI data connected to Azure Analysis Services in your application). The CustomData feature allows passing free text (string) using the CustomData connection string property. Analysis Services use this value via the CUSTOMDATA() function. The only way to have dynamic RLS (which uses dynamic values for filter evaluation) in Azure Analysis Services, is using the CUSTOMDATA() function. You can use it inside the role DAX query, and you can use it without any role in a measure DAX query. CustomData feature is part of our token generation functionality for the following artifacts: dashboard, report, and tile. Dashboards can have multiple CustomData identities (one per tile/model). The CustomData string property was added to our effective identity in the token generation scenario. 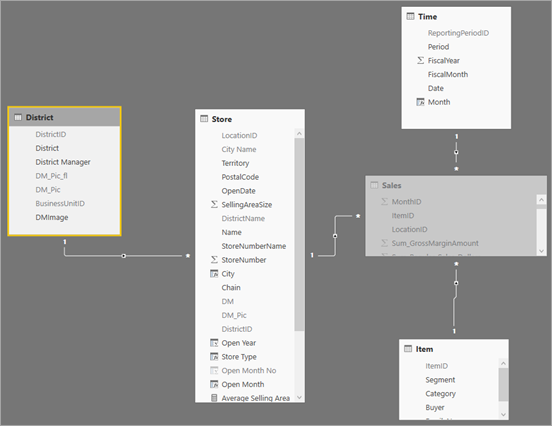 Here are the steps to begin setting up the CustomData() feature with your Power BI Embedded application. Create your Azure Analysis Services database. Then sign in to your Azure Analysis Services server via SQL Server Management Studio. 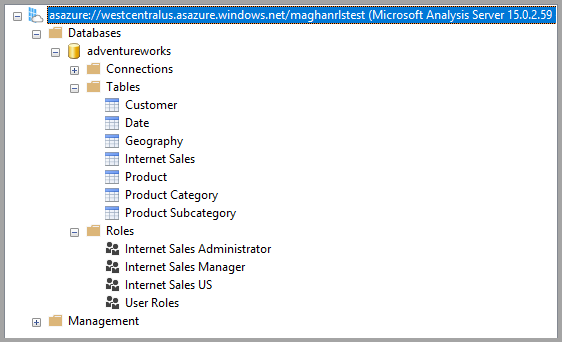 Create a Role in the Analysis Services server. Set your General settings. Here you give the Role Name and set the database permissions to Read only. Set the Membership settings. Here you add te users that are affected by this role. 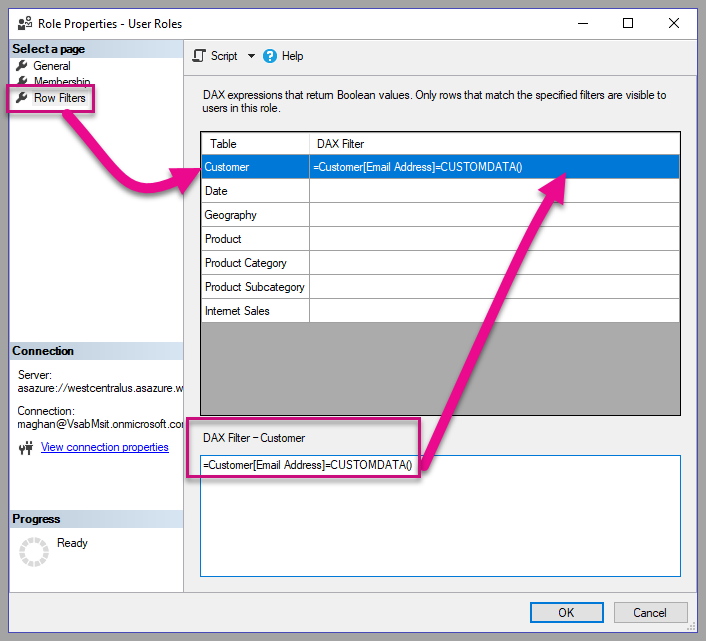 Set your Row filters DAX query using the CUSTOMDATA() function. Build a PBI report and publish it to a workspace with dedicated capacity. 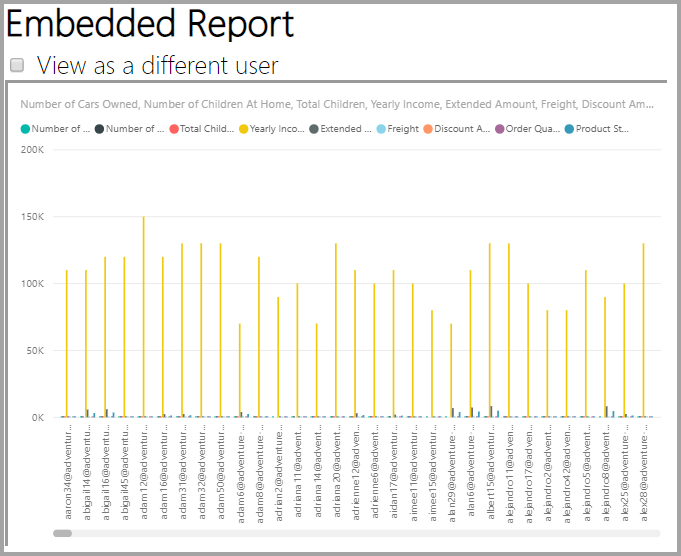 Use the Power BI APIs to use the CustomData feature in your application. When generating a token with the Custom data feature, you need to have a username. The username must be equal to the UPN of the master user. The master user must be a member of the role(s) you created. 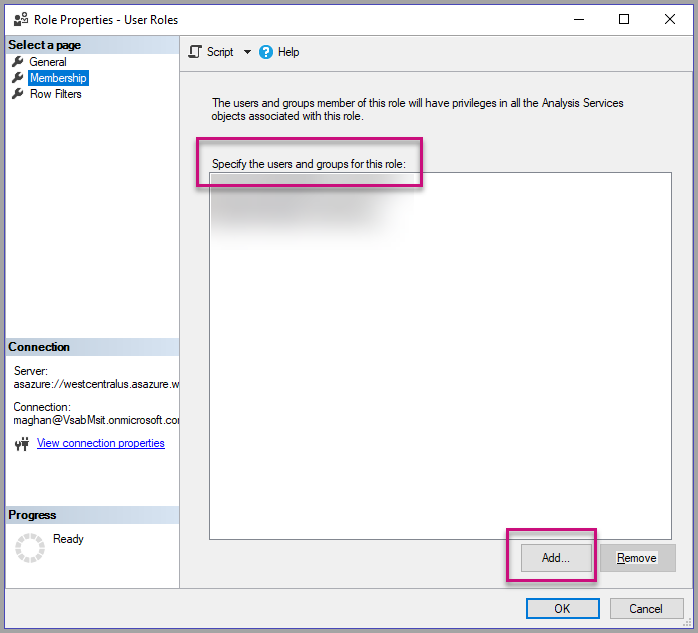 If no role(s) are specified, then all the roles the master user is a member of are used for RLS evaluation. When working with a service principal, you also need to do the above steps in place of using a master account. When generating embed token, use the service principal object ID as the username. When you're ready to deploy your application to production, the master user account field or option should not be visible to the end user. View the code to add the CustomData feature. Now you can view the report in your application before applying the Custom data value(s) to see all the data your report holds. Then apply the Custom data value(s) to see how the report displays a different set of data. Row-level security is a feature that filters data at the data model level. Your backend data source controls your RLS settings. Based on your data model, the embed token generation sets the username and the roles for the session. It cannot be overridden, removed, or controlled by the client-side code and that’s why it’s considered secure. We recommend using RLS for filtering data securely. You can filter data with RLS by using one of the options below. Configuring roles in a Power BI report. Configuring roles at the data source level (Analysis Services live connection only). Programmatically with an Embed Token using EffectiveIdentity. When using an embed token, the actual filter passes through the embed token for a specific session. The token-based identity allows you to specify the effective identity for an embed token using Azure Active Directory (AAD) access token for an Azure SQL Database. Customers that hold their data in Azure SQL Database can now enjoy a new capability to manage users and their access to data in Azure SQL when integrating with Power BI Embedded. When you're generating the embed token, you can specify the effective identity of a user in Azure SQL. You can specify the effective identity of a user by passing the AAD access token to the server. The access token is used to pull only the relevant data for that user from Azure SQL, for that specific session. It can be used to manage each user’s view in Azure SQL or to sign in to Azure SQL as a specific customer in a multi-tenant DB. It can also apply row-level security on that session in Azure SQL and retrieve only the relevant data for that session, removing the need to manage RLS in Power BI. Such effective identity issues apply to RLS rules directly on the Azure SQL Server. Power BI Embedded uses the provided access token when querying data from the Azure SQL Server. The UPN of the user (for which the access token was provided) is accessible as a result of the USER_NAME() SQL function. 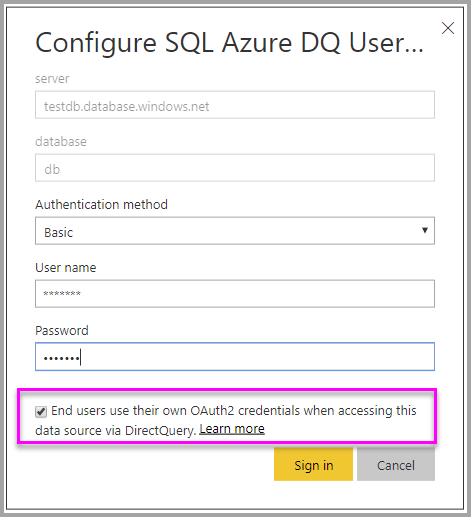 The token-based identity only works for DirectQuery models on dedicated capacity - connected to an Azure SQL Database, which is configured to allow AAD authentication (learn more about AAD authentication for Azure SQL Database). The dataset’s data source must be configured to use end users’ OAuth2 credentials, to use a token-based identity. The identity blob property was added to our effective identity in the token generation scenario. Identity blob can be created using the following call. If you're calling the REST API, you can add identity blob inside each identity. The value provided in the identity blob should be a valid access token to Azure SQL Server (with a resource URL of (https://database.windows.net/). To be able to create an access token for Azure SQL, the application must have Access Azure SQL DB and Data Warehouse delegated permission to Azure SQL Database API on AAD app registration configuration in the Azure portal. Customers that configure row-level security (RLS) using an SQL Server Analysis Services (SSAS) on-premises live connection data source can enjoy the new service principal capability to manage users and their access to data in SSAS when integrating with Power BI Embedded. Using Power BI REST APIs, allows you to specify the effective identity for SSAS on-premises live connections for an embed token using a service principal object. Until now, to be able to specify the effective identity for SSAS on-premises live connection, the master user generating the embed token had to be a gateway admin. Now, instead of requiring the user to be gateway admin, the gateway admin can give the user dedicated permission to that data source, that allows the user to override the effective identity when generating the embed token. This new ability enables embedding with service principal for a live SSAS connection. To enable this scenario, the gateway admin uses the Add Datasource User REST API to give the service principal the ReadOverrideEffectiveIdentity permission for Power BI Embedded. You can't set this permission using the admin portal. This permission is only set with the API. In the admin portal, you see an indication for users and SPNs with such permissions. Assignment of users to roles within the Power BI service doesn't affect RLS when using an embed token. While the Power BI service doesn't apply RLS setting to admins or members with edit permissions, when you supply an identity with an embed token, it applies to the data. 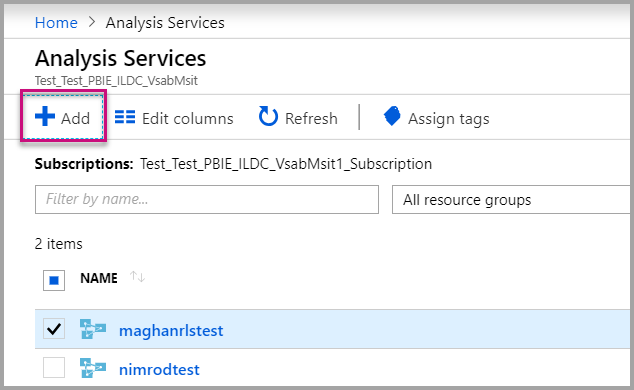 Analysis Services live connections are supported for on-premises servers. Azure Analysis Services live connections support filtering by roles. Dynamic filtering can be done using CustomData. If the underlying dataset doesn’t require RLS, the GenerateToken request must not contain an effective identity. If the underlying dataset is a cloud model (cached model or DirectQuery), the effective identity must include at least one role, otherwise role assignment doesn't occur. A list of identities enables multiple identity tokens for dashboard embedding. For all others artifacts, the list contains a single identity. This capability restricts use with Power BI Premium only. This capability doesn’t work with SQL Server on-premises. This capability doesn't work with multi-geo.